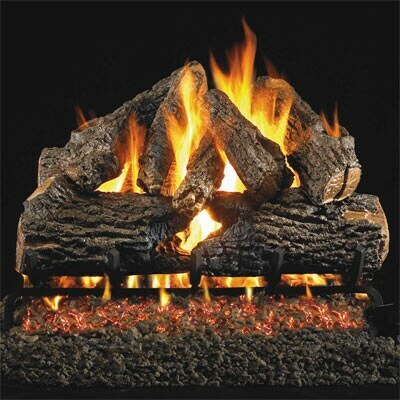 Buying a gas log set can be confusing if you don't know what to look for. 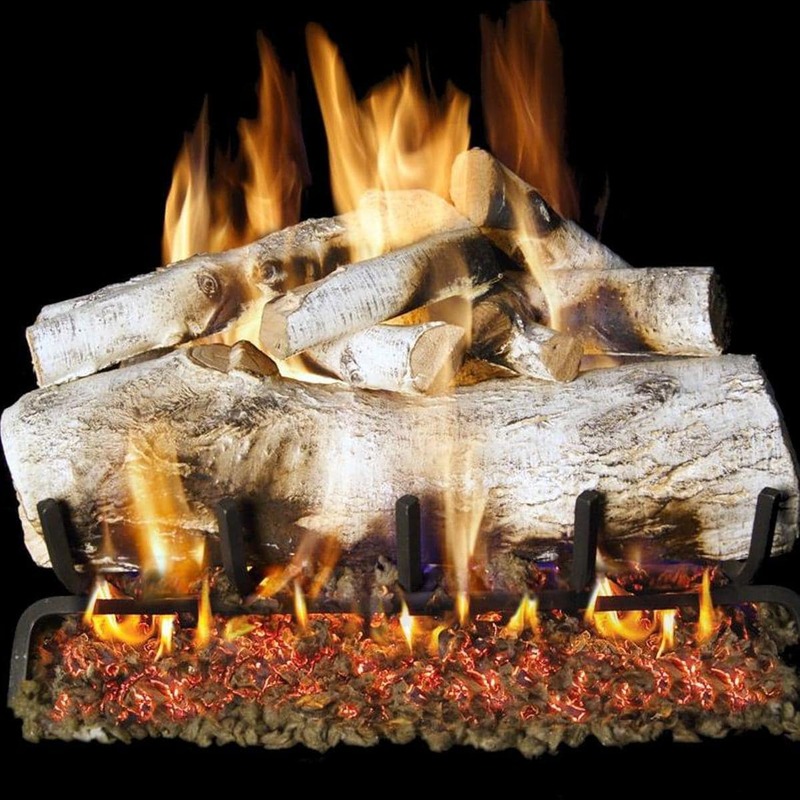 We compiled a list of our top rated gas log sets to help make your decision easier. These top rated sets will introduce you to many of the options that are available, including vent type, burner type, size, and log style. Our top rated sets are graded on quality, efficiency, and realism. 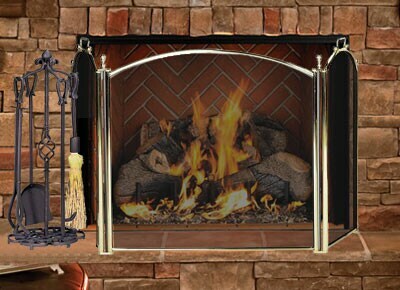 Realism - Vented gas logs are known to be beautiful and realistic. 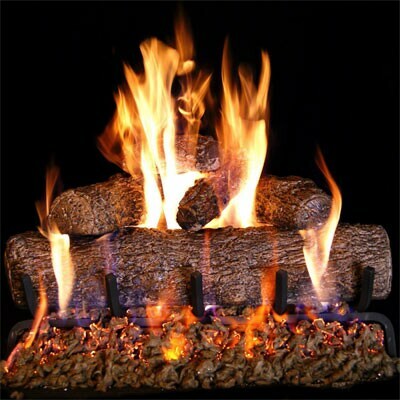 The most realistic gas logs have highly detailed molds and are hand-painted for uniqueness. 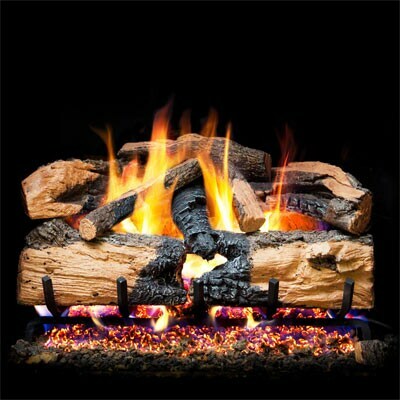 Logs are molded from real wood samples to capture the fine details of real wood. Each log has a steel rod insert for maximum reinforcement. 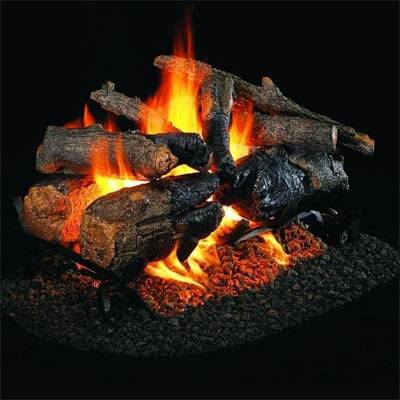 Includes sand and embers to complete the look of your log set. 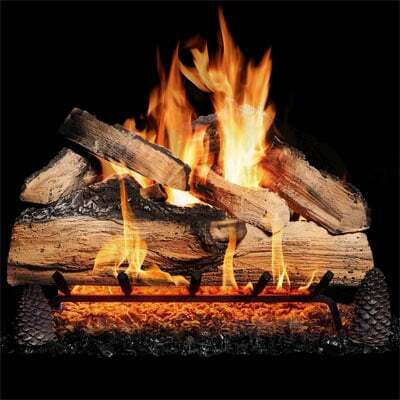 The burner has a single burner pipe that allows the flames to dance through the center of your log set. Dual pipe burner produces more depth and full flames for more realism. Created from actual wood samples to carefully recreate the intricate bark detail and natural coloration of deeply charred wood. Superior refractory ceramic logs are reinforced with steel rods. Meticulously hand painted to re-create the look of natural wood. 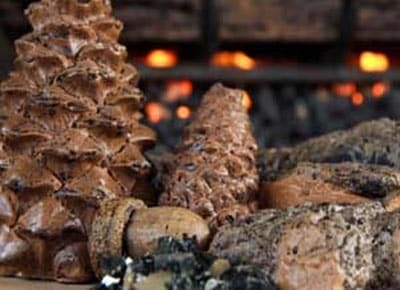 Log ends and split pieces are a different color than the bark giving a more realistic appearance.